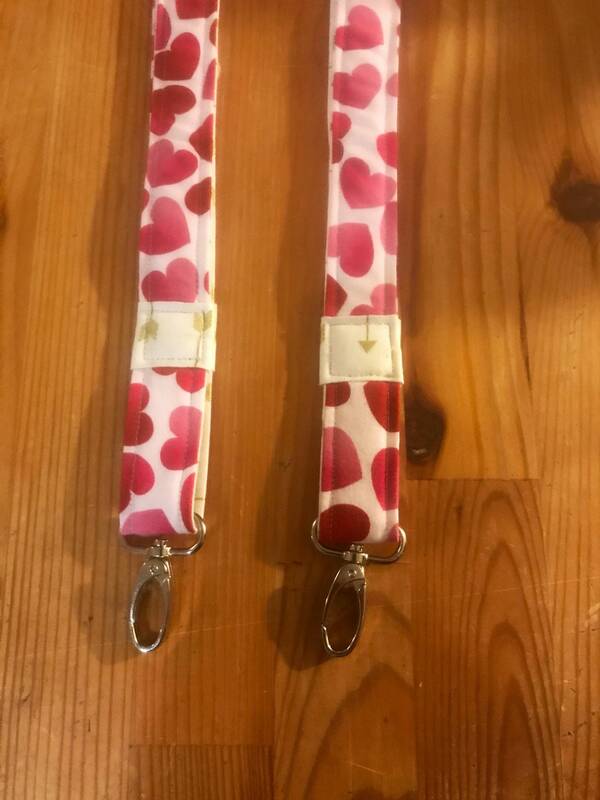 Grab your cute Valentines lanyard now! 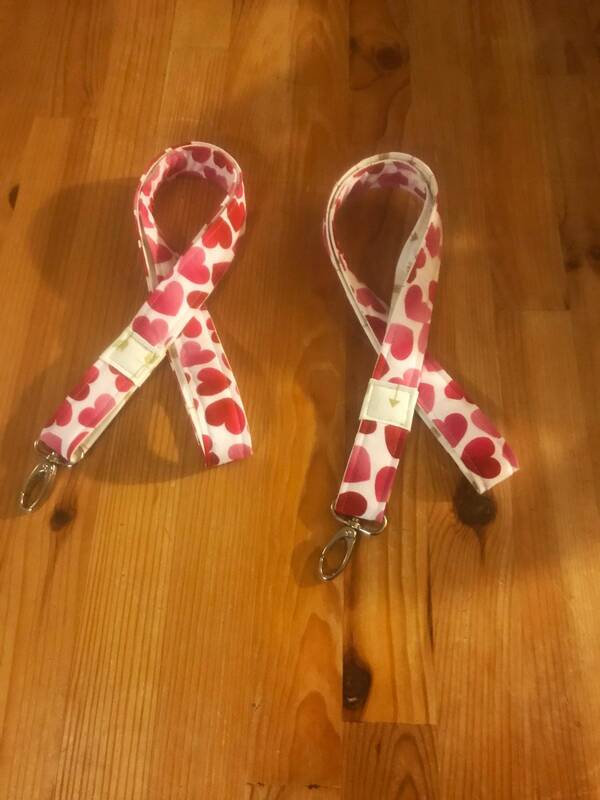 Of course it’s cute enough to wear all year long ❤️. 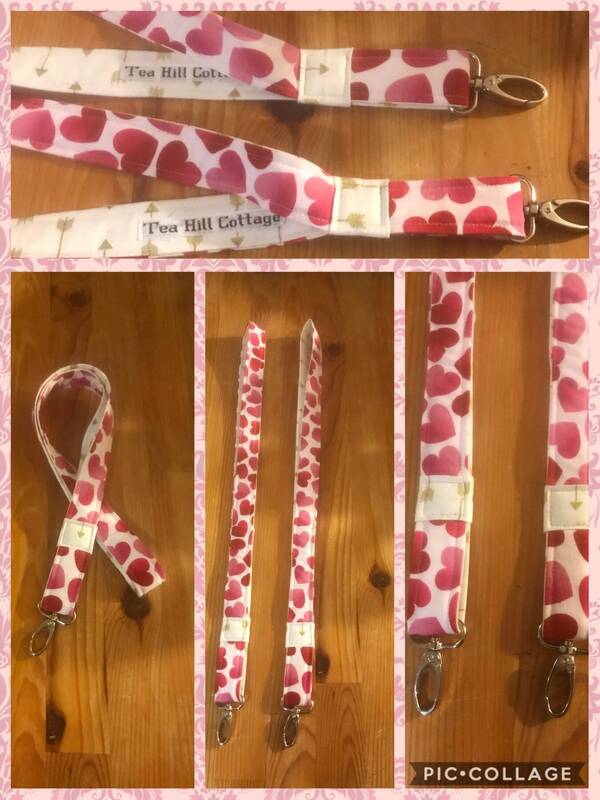 I used a sweet pink and red heart print for the outside of the lanyard and I paired it with a cute gold arrow lining. 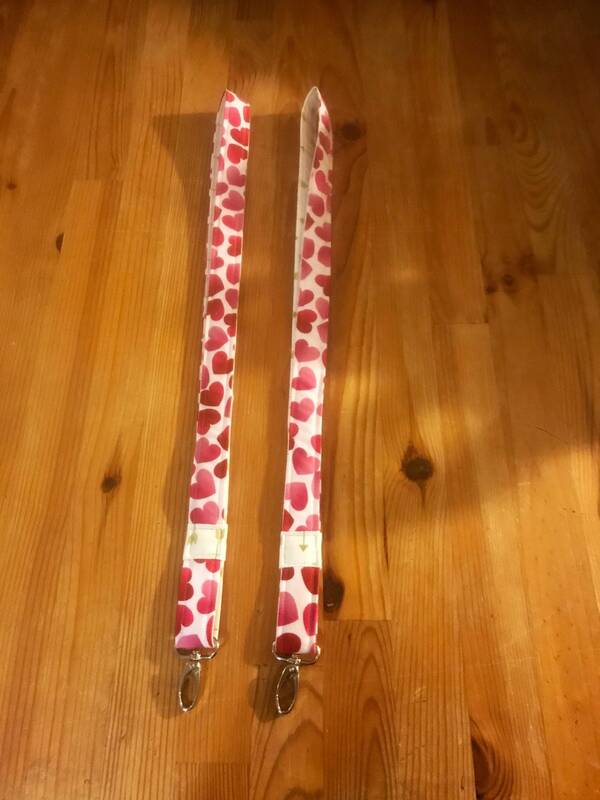 The lining does show when you are wearing the lanyard. 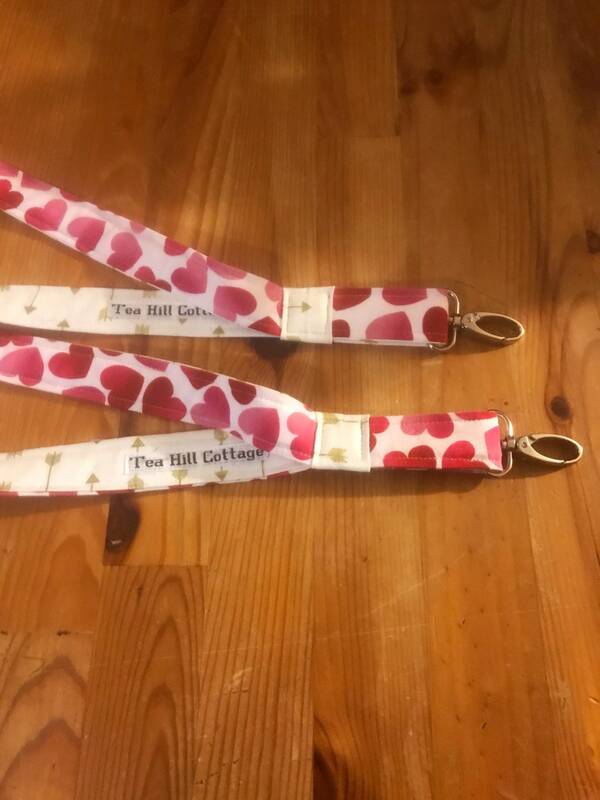 These lanyards would make teacher gifts!